To understand what is bilge water, first we need to know what exactly a bilge is. A bilge is the lowest space of the ship. It is the area where two sides of the ship meet. 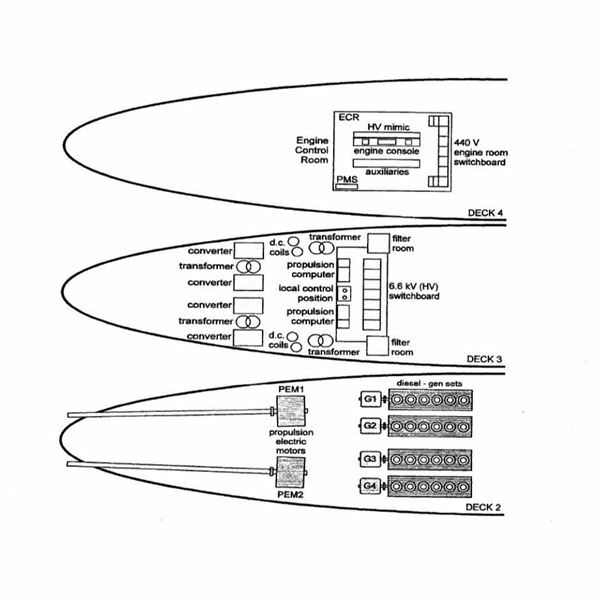 The corners of the lowest compartment of the ship constitute a bilge. You can see a bilge compartment if you go to any of the corner of lowest platform of ship’s engine room and peep beneath the floor plates. It’s a space which is often filled up with an opaque black liquid. Bilge water is not exactly water but a mixture of variety of substances. Its a mixture of fresh water, sea water, oil, sludge, chemicals and various other fluids. So where does all these substances come from? Sea water and fresh water can find its way to the bilge wells due to leakage in the pipe lines, leaky pump and valve glands, from machinery, propulsion system, over flowing of tanks and even due to accidental spills. All these substances get accumulated in the bilge wells and the mixture formed is known as bilge water. A significant amount of sea water can seep into the bilge well if there is a leakage in the shaft gland or stuffing box. Sea water can also enter from leaky main sea chest valves. Fresh water from heat exchangers, fresh water generator and boilers often contribute to the filling of bilge wells. 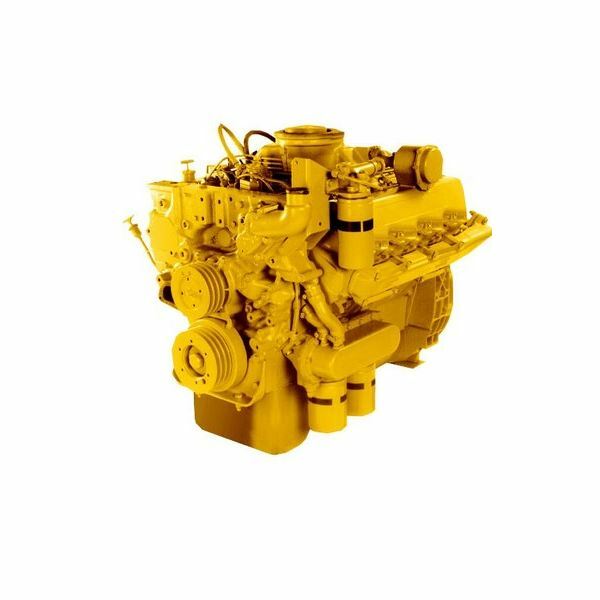 Oil finds it way to the bilge well mainly from the fuel oil purifiers, leakage in fuel line and oil spills. 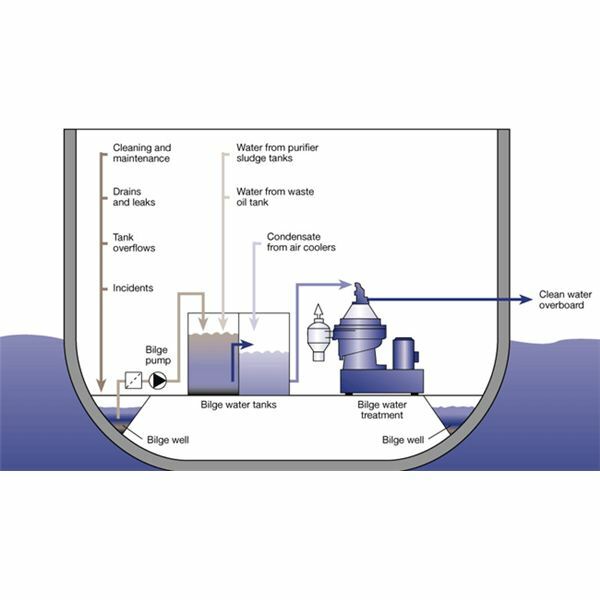 What if the bilge wells overflow? It is a governmental law that any liquid that has oil particles suspended in it should not be discharged in the open sea. 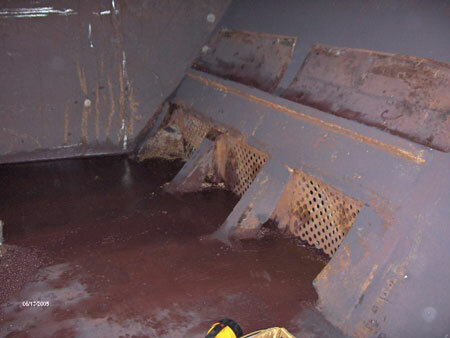 Bilge wells are helpful to store this contaminated water but can sometimes be a threat to the engine room. 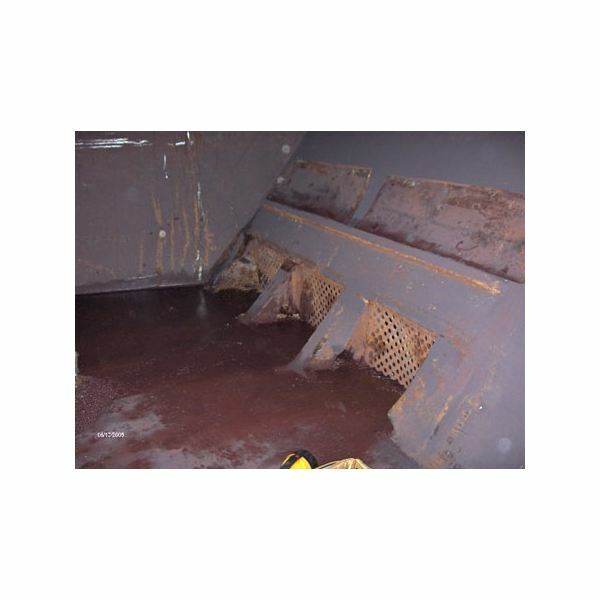 If the bilge wells overflow it could cause a rise in the level of water up to or above the floor plates. This could lead to accidents, emergency situations or even disturbance in the stability of the ship. For this reason, bilge wells are periodically emptied by pumping out the bilge with the help of bilge pumps. MARPOL states that bilge water cannot be directly pumped out into the sea. 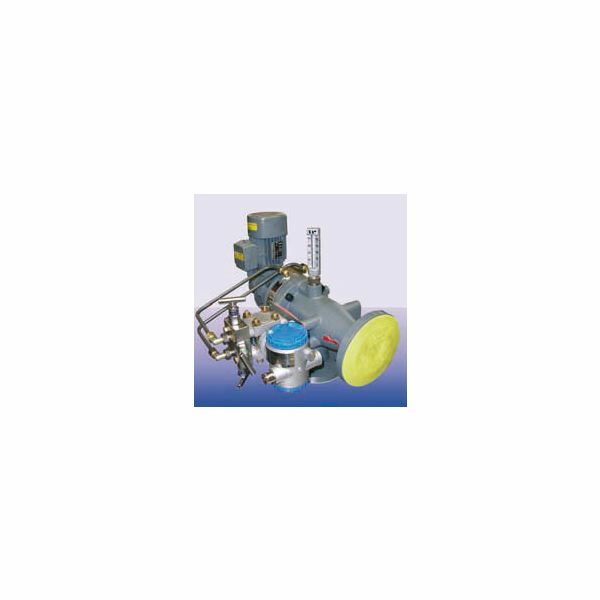 For this reason, bilge water is first passed through an Oily water separator where the level of suspended oil particles in the mixture is significantly brought down. When the PPM (parts per million) of oil particles in the mixture comes down to the permissible limit, it is allowed to be thrown overboard but only when the ship is en route. 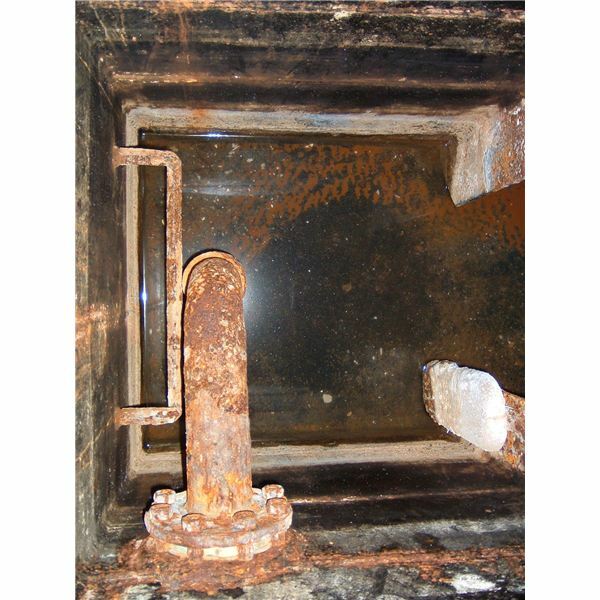 Bilge wells are always provided with strainers to prevent solid particles from entering. 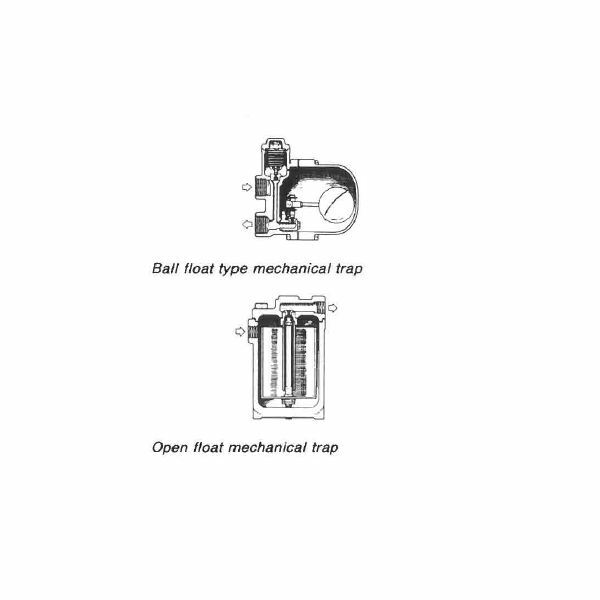 This is done to prevent choking of the solid particle in oily water separator or bilge pump. Absence of strainers might lead to drop in bilge pump outlet pressure and also reduction in outlet flow of oily water separators. How Does a Bilge Pump Work ?